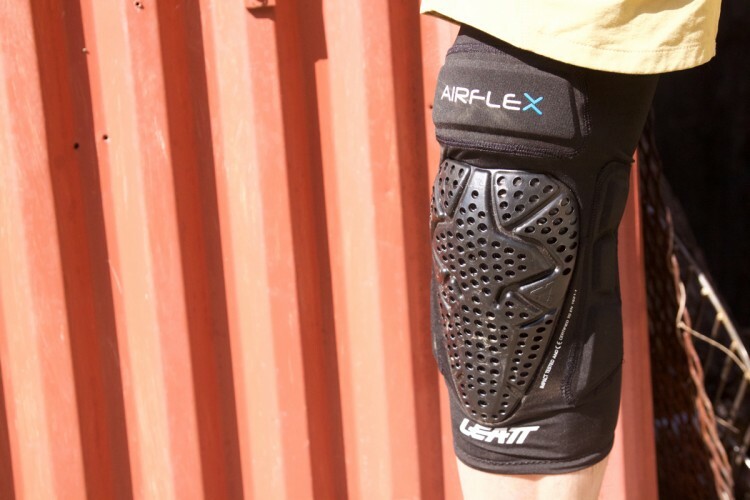 Leatt has developed a new breed of armor in the form of the Arm Guard 3DF Hybrid and the Knee and Shin Guard 3DF Hybrid, which are re-incarnations of the company’s popular 3DF line with additional hardshell material for more durability and protection. This design is a “hybrid” between the 3DF and Contour product lines. 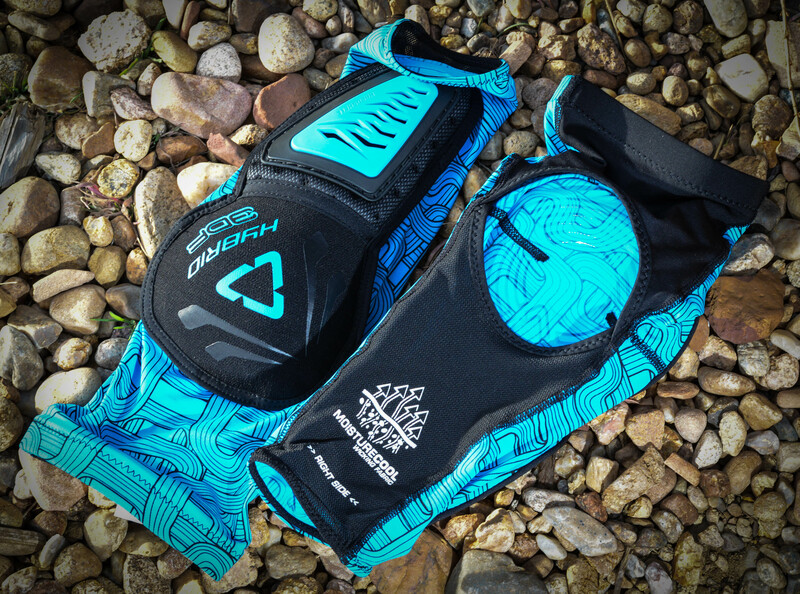 Both the elbow and knee protection have additional coverage to shield the forearm and shins from damage, while maintaining a lightweight set of armor designed to be flexible and well ventilated. These were tested in the late Colorado winter, spring, and early summer. 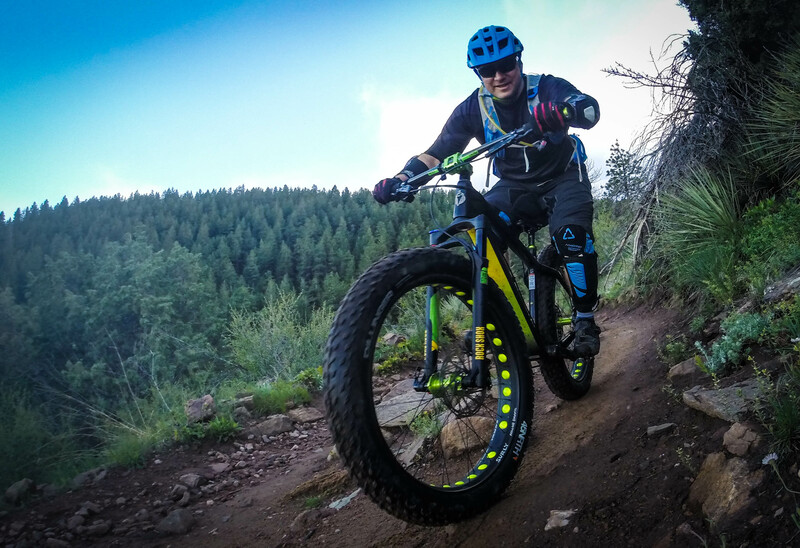 As it was pre-season I was able to ride them on my local technical trails before taking them to Trestle Bike Park for for gravity runs–they came in pretty handy when I cased a jump or two. As with other Leatt products, quality and craftsmanship are immediately evident when trying on and wearing this armor. The thing I liked most about the elbow guards is that they felt very light, and laid flat so I could store them easily in my pack. 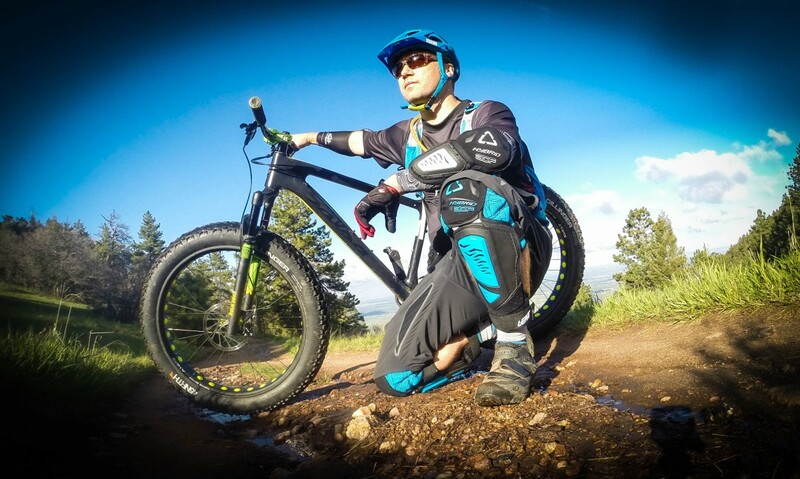 I typically only put armor on at the top of a hill, since Colorado has so many long, uninterrupted climbs, followed by technical downhills. The 3DF elbow pads were perfect for that. The knee pads, on the other hand, are fairly bulky. Not in a negative way, but you would only want to wear these for shuttle runs or days with lift-serviced downhills–they are almost too big to put in a pack and scramble to the top (although I did just that every time). 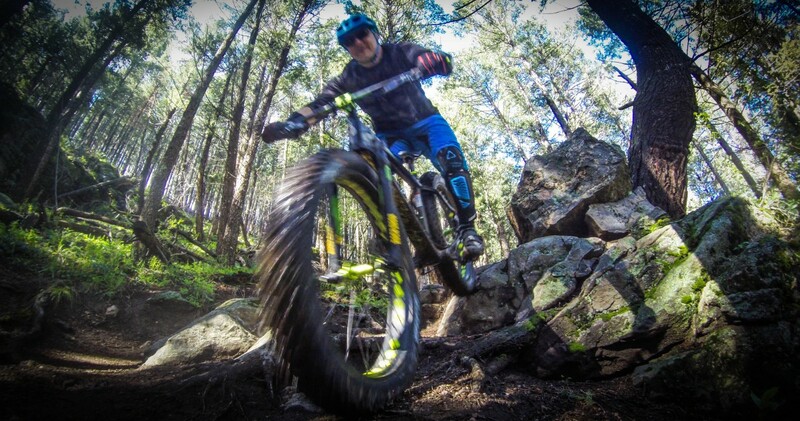 Leatt makes smaller pads for pedally rides. 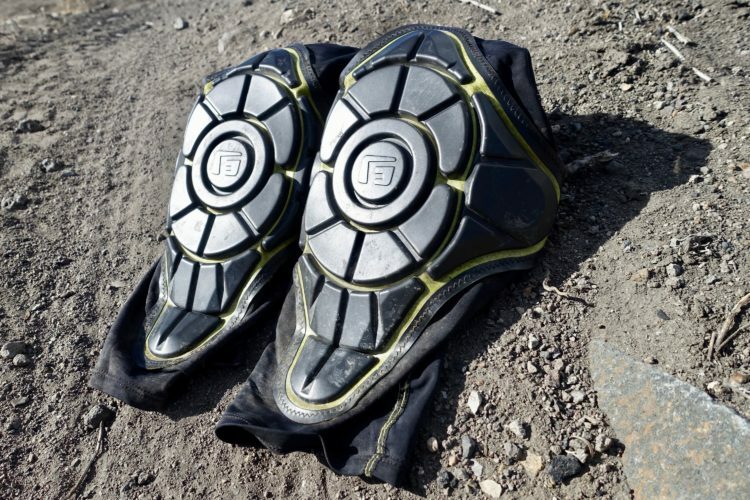 Another feature that stands out, which I’ve already alluded to, is the breathability of the Leatt 3DF Hybrid pads compared to other pads on the market these days. 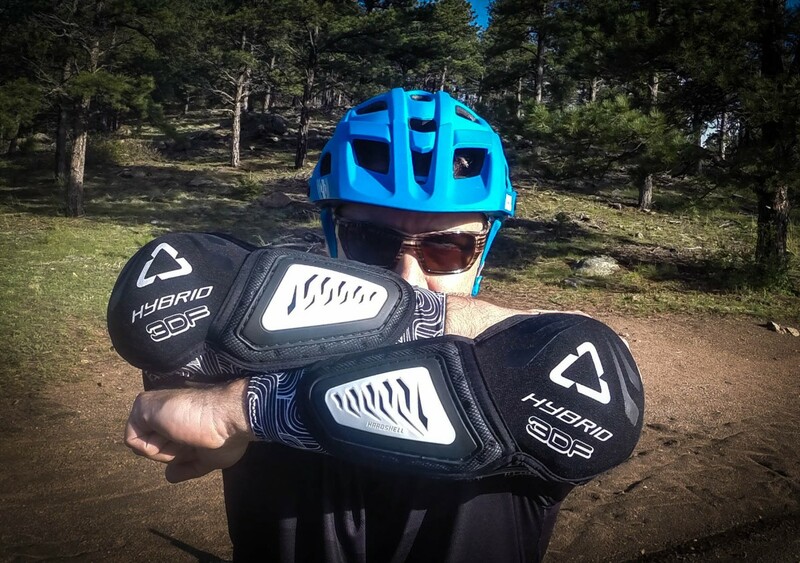 The elbow guards are side-specific, and anatomically molded to slide over the arm like a sleeve without using any straps. 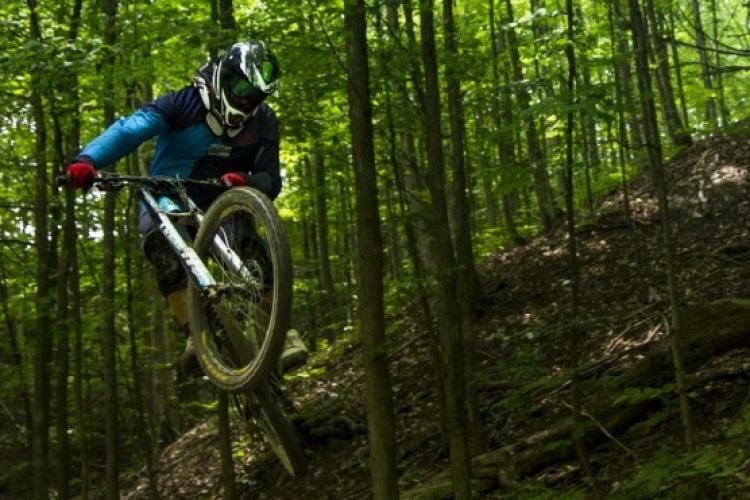 This allows Leatt to construct the sleeve with a breathable mesh that is tear-resistant and helps with moisture management…keeping you cool and dry by allowing you to sweat through the pads. Even on a hot day at Trestle, I completely forgot that I had these on. As you can see in the photos, the knee/shin armor is also side-specific, and is mostly open in the back, which also keeps the legs cool. 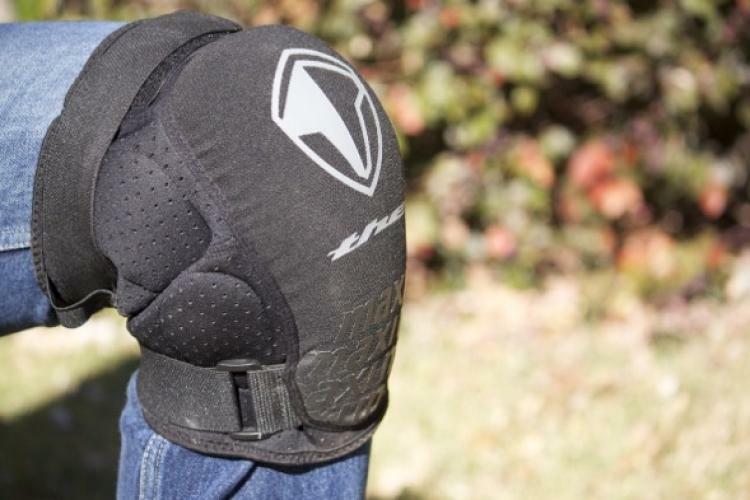 The knee has the most padding, also utilizing a anatomically formed sleeve to encase the knee and protect it from the front and sides with lots of padding and armor. The calf is left open for ventilation, but the armor over the shin is thick and adequate for hard impacts. These are the beefiest pads I’ve tested in a while, and again, unbelievably lightweight. Overall I really liked these pads with very few reservations. 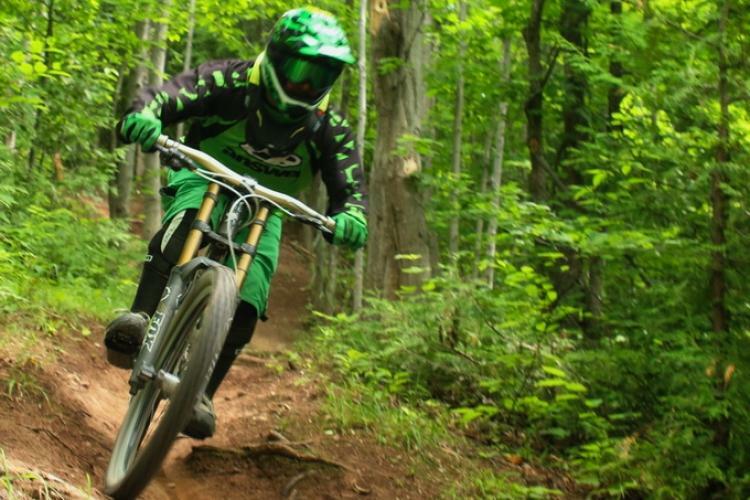 They seem to have a high quality standard–designed take a lot of repeated abuse, and hold up for many seasons. 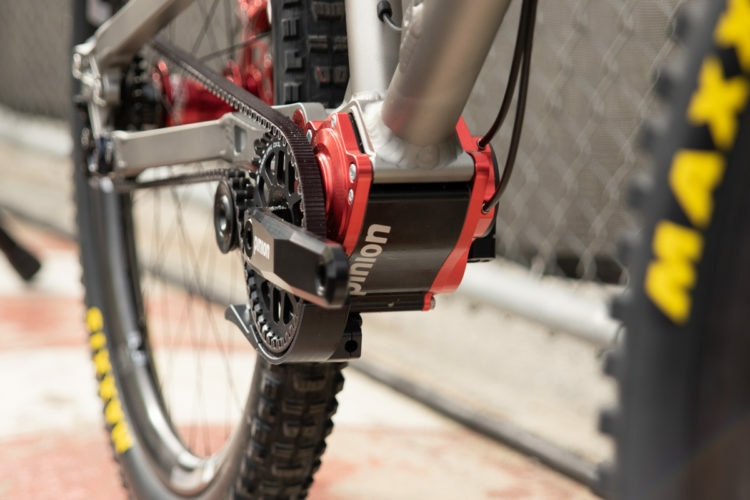 I didn’t encounter any craftsmanship issues on the trail when testing them, but you may feel the strap poking you or cutting you in the back of the knee on the leg armor if you pedal a lot in these. The only issue I really have with these pads are the fit. I would strongly recommend that you try these on before you purchase them. Despite measuring my biceps and forearms very carefully, the sizing seemed way off from what is listed in the sizing chart on the website. The elbow pads, for example, were so loose that I could easily rotate them around my arm circumferentially. I went down a size, and the forearm section was snug and comfortable, but the elbow pad itself, along with the upper sleeve, was still loose. So loose in fact that I don’t think my elbows would be protected well in a fall if I slid on the ground. Leatt was great about allowing me to swap sizes, and I settled on the smallest size (S/M), which is unusual for me as I typically wear a large. I do feel that Leatt probably should have made the elbow armor portion more cupped to stay put in case of a fall and slide. I had the opposite problem with the knee guards. I cycle a lot like most of you, and I have large legs for my overall frame size. I typically do have difficulty buying pads and shorts from retailers because my quads and hamstrings are pretty beefy. My leg and calf measurements fell squarely in the XXL range (a size larger than I normally wear) but they barely fit at first. After breaking them in on a few rides though, they were really comfortable, so keep that in mind if you are sizing to buy. 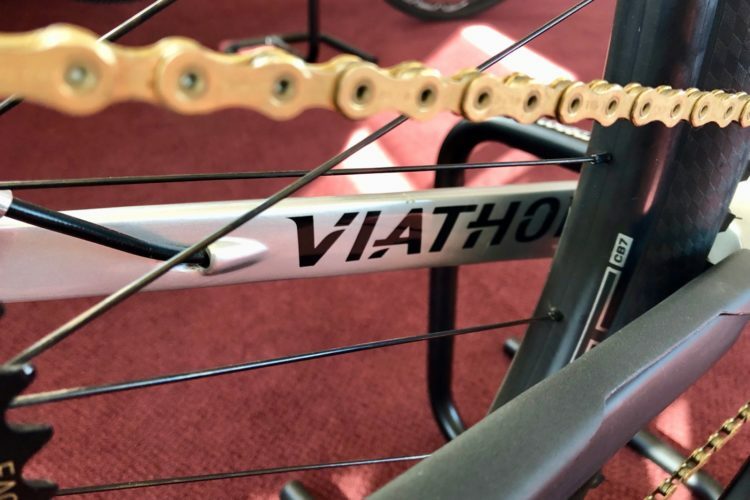 All this to say that we are all made differently, and you should put these on in person instead of relying on the fit guide posted on the Leatt website. 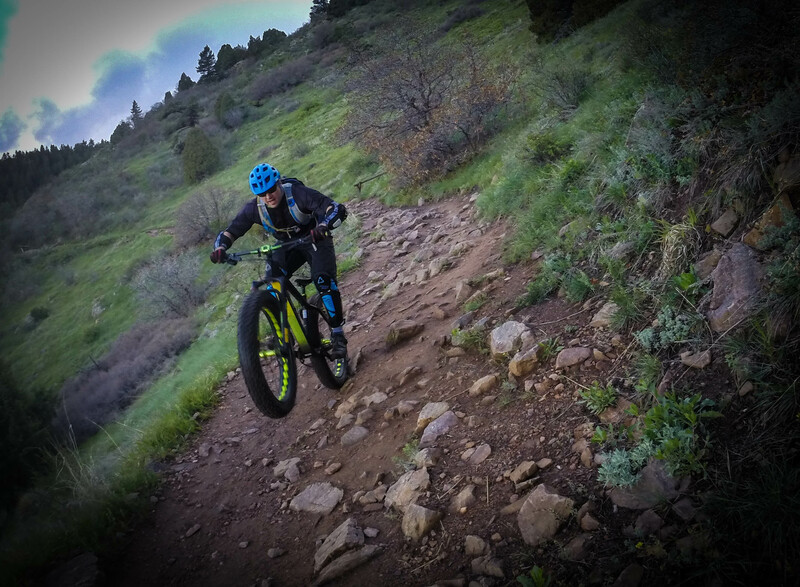 If you ride aggressively, eventually you will fall…it is an inevitability of pushing your limits every time you go out. Having a comfortable set of pads that are light and breathable makes it easier to take them along with you. 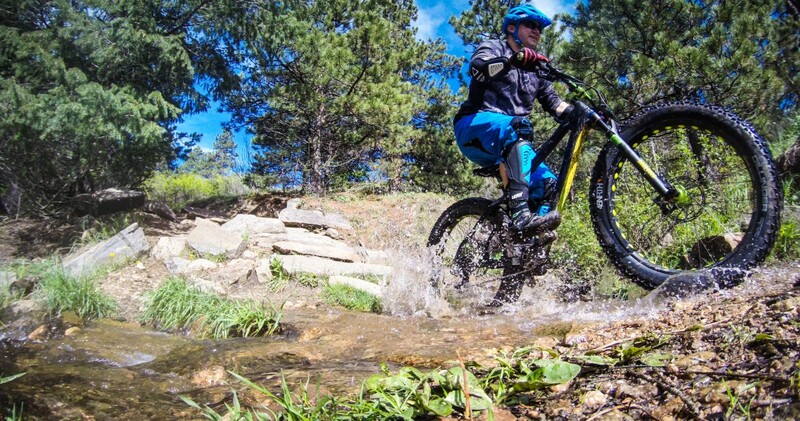 The Leatt Hybrid 3DF fits that bill–they are light, comfortable, have a lot of coverage, and are reasonably priced. 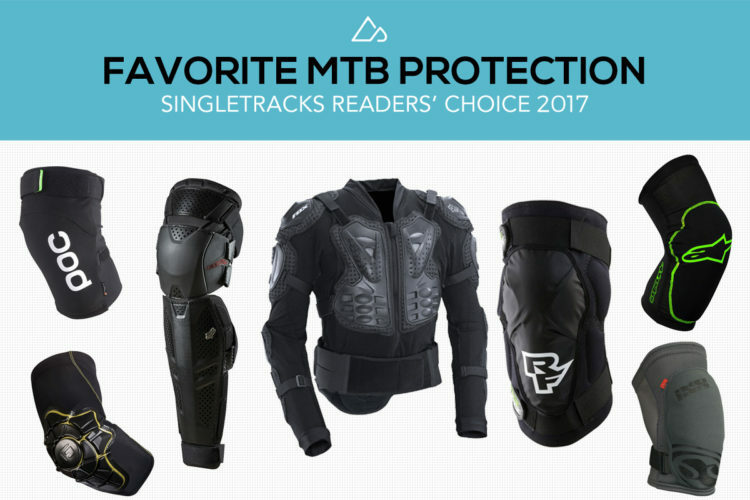 If you are in the market for armor to keep your flesh pretty after rallying hard in the park, you should check these out. 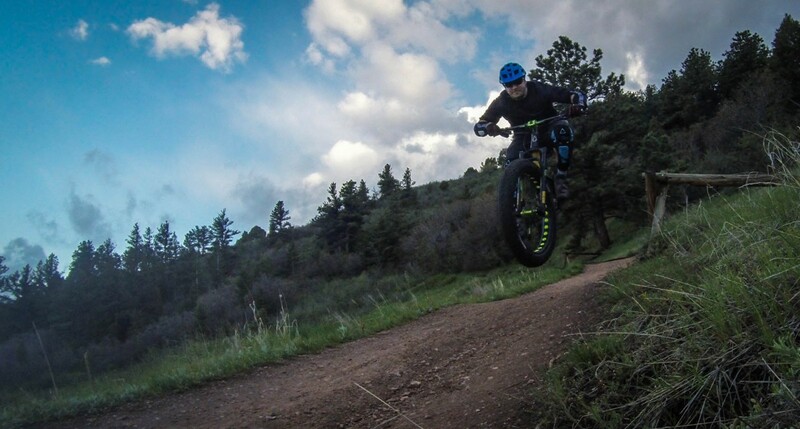 Flying fatbike at warp speed. That is all. 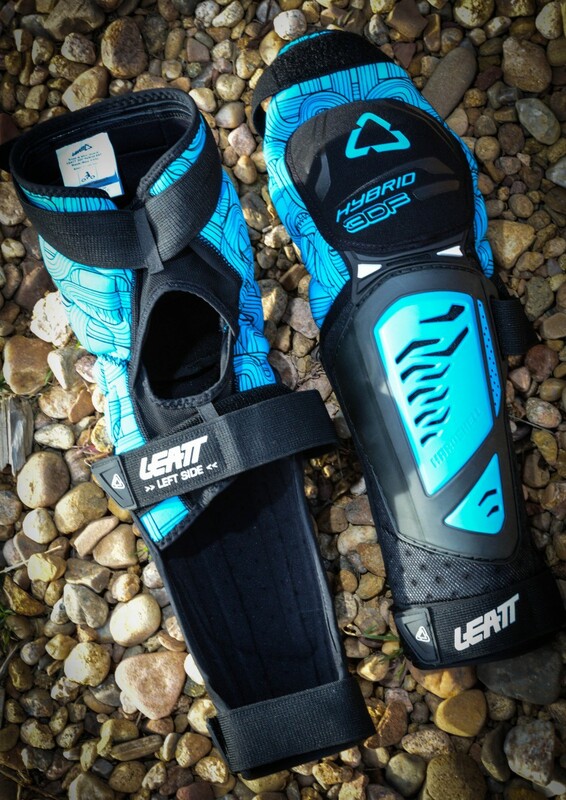 Thanks to Leatt for providing the Hybrid 3DF gear for review.